This amplifier was built using Soviet-era military tubes. Soviet-era tech is all the rage. From the cult favorite Polivoks synth to stranger systems, like this giant, occult influenced synthesizer, the technology from this time period has captivated an entirely new generation of musicians looking for alternatives to common drum machines and synths. But the most interesting repurpose of Cold War era technology we’ve seen so far wasn’t originally designed for music. It’s a tiny tube amp built with components originally created for the military. You know tube amps: design-based, impressive—not to mention expensive—objects that adorn luxurious living rooms, accentuating the entertainment systems of serious audiophiles. Often equally as revered for their impressive looks as their sound-transforming capabilities, tube amplifiers have been pushed into the luxury category for decades, falling far out of reach of the average, musically-inclined consumer. But we’re excited to say that the most impressive tube amp we’ve seen recently has none of those qualities. 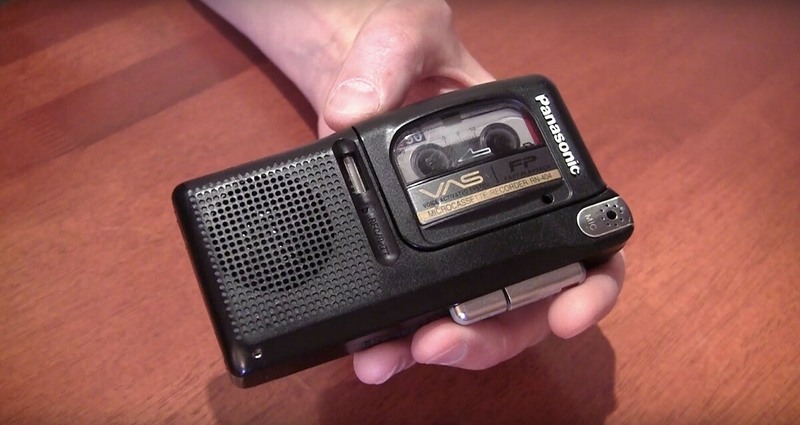 In fact, this thing looks like nothing more than a normal cassette recorder. Open it up, however, and you’ll see that the usual internal hardware has been swapped with a custom vacuum tube amplifier. Utilizing a home etched printed circuit board and 1ZH25R and 1S38A tubes from the Soviet era, this little recorder could be one of the smallest and most impressive audio recording and playing devices we’ve seen in a while. Maybe it’s not going to be your next art-deco coffee table ornament, but this system is so professionally built (in such a small amount of space) that we’re way more interested to hear what comes out of this thing than any pro audio rig. Check out an overview of the tiny tube amp in the video above, and head over to the full article on Hackaday here.